We ran out to Target tonight to scope out the toys to see what is left before the Thursday markdowns. Many people are reporting that the toys will go down again tomorrow. I wanted to run tonight and see what was left. I have a wallet full of high value Leapfrog coupons and when I saw that they only had 1 of each of four different TAG books left, I bought them before the markdowns. Tag Books $6.98 less $4.00 coupons making them $2.98 each for Miss Kasja's Tag reader. We found one Leapster left at 1/2 off $24.99 less $10.00 making it $14.99. There was one Cars Leapster Game and One Ratiquoille Leapster Game left at $12.44 (1/2 price) less my $5.00 coupons on each. Paid $7.44 each after coupon. I couldn't risk getting losing them waiting for the Morning Rush. I just settled on getting them at 75% after coupon :) Settling for 75% off is making me sound really cheap, oh well. Becca is still up at Midnight and we have to be out of the house at 7:00 to drive to the city. I can't sleep either wondering what we will get in the morning if Target marks their toys down. Thank you to Hip2Save for the deal. Hurry these will not last long. Two prints each per computer. We really needed these coupons, Doc wanted a bowl of cereal this morning and his milk was sour. He had to use Becca's and my Lactaid milk. 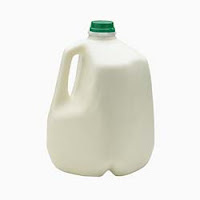 Get a FREE half gallon of Chocolate Milk with the purchase of White Gallon This coupon is up to a $3.79 value! I will apologize ahead of time for this Mom bragging, but I can't help myself. Marissa is our actress and she left home for California to follow her dream. As a tiny tot she was always dancing, singing and making up plays. At the age of 5 she began her acting career scoring dozens of commercials and print ads. She loves the stage and I spent hours driving her to play practices and performances. She worked hard to raise the money when she was accepted into the prestegous Interlachen Fine Arts Camp and it became her stepping stone to the American Academy for Dramatic Arts in Hollywood for college. Marissa has been busy working as a personal assistant while following her dream. This month she auditioned to be a company member at the Loft Ensemble at the LA fringe Theater and MADE IT!! Jordan, Marissa's other half (screenwriter and production) is busy doing an internship for a major production company. 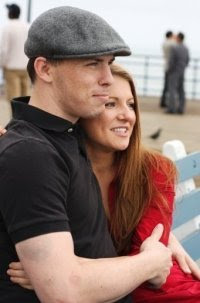 They both are very busy working and following their dreams and getting ready for their September 19th wedding. Use Target Coupon for Buy Windex Get $5 Gift Card (In this weeks Sunday Paper). I will finally pick one up for the family room windows. We have over 66 feet of 6 foot windows to wash overlooking the pool. I was wondering how it works, but with this deal I will give it a try. While I am there, I will try this amazing deal I found on A Full cup and score some Bounty Paper Towels and Charmin to Go. I quickly pulled together a couple of coupons to hit Walgreens when we ran to drop off our Redbox Movies at Walmart. I spent just under $5 and saved nearly $29. I can't believe that I was able to get free mailing envelopes for my book and candy bars. 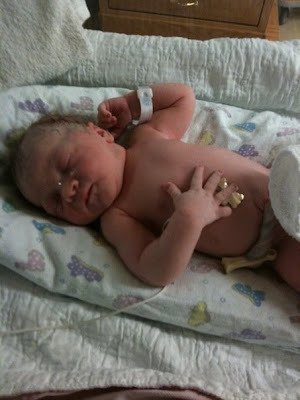 Mahala Arline Howe arrived today weighing 7 pounds 3 ounces 19 1/2 inches long. We are thankful for the safe arrival of Mahala and Kristy's safety. 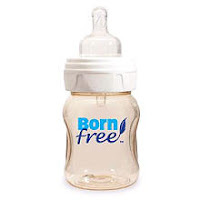 Get a FREE Born-Free Bottle with a $75 purchase at Babiesrus. Combine it with spending $49 in the clearance store or $100 in the main store and the order is shipped FREE. Kristy has finished her last days of work this week and has been busy getting ready for the impending arrival of her second daughter. The C-Section is scheduled for the 22nd. This morning I woke and read her updated blog and this sign from her nursery pictures posted on her blog made me tear up. 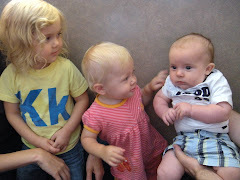 How fast they grow up. It doesn't seem so long ago we brought our "Sunshine" home from the hospital. 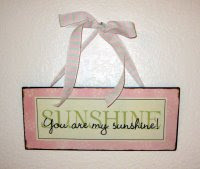 Kristy is our "Sunshine" and we sun her song to her as we rocked her to sleep. Kristy soon will be a Mom to two precious little girls. Kasja and Mahala. 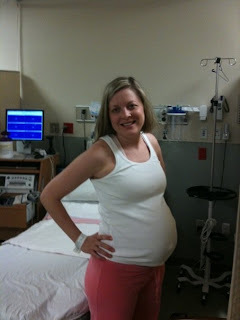 Kristy has updated her blog and has posted new pictures of the new baby's nursery and Miss Kasja. Nana brag time. Kasja may need this one. FREE Chocolate Fridays at M & M Mars. Sign up and get a coupon mailed to you for a Free Mars Candy Bar. We have been enjoying our FREE Candy Bars. 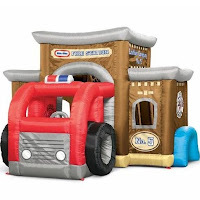 Little Tikes--Christmas in July Sale up to 50% off. But the Backpack Program is far from done even though the family now lives in Lancaster, Wisconsin for the past two years. Two years ago the Yurcek family left the Backpack Program in good hands as Kalamazoo families who have helped in the program carry the mission forward along with several other programs to fulfill the needs. In Lancaster the program is growing and Backpacks for Kids is partnering with Grant County Social Services, community organizations, and others to help Grant County Foster Families and families in need have new school supply stuffed backpacks for the start of school. 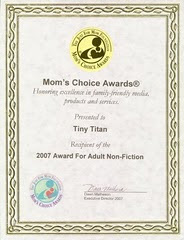 Tiny Titan, Journey of Hope by Ann Yurcek was recently honored as being selected as a two-time finalist in the 2007 Mom’s Choice Awards. 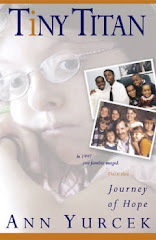 Tiny Titan, Journey of Hope was a finalist in the categories: Adult: Non-Fiction and the Your Heart Our Hands special category. Today Detamara and I emptied the freezer. Throwing away $1000 worth of frozen cow and food was not easy to do, but it is done. I am proud of myself I didn't cry!! Only did that when I discovered the freezer door wide open and everything unthawed, now the freezer is broken! Besides emptying a half a box of contractors trash bags filled with food it is now at curbside waiting for the trash truck tomorrow morning. My garbage man will not like me after this many heavy bags of trash. Tomorrow I have vowed that I will not go on line to check my mail until I have put in a half a day in the storeroom, no frugal finds, no cruising blogs, no posting until I am DONE! Doc helped me move all the tubs of clothing out of one end and that will be consolidated into the garage shelving. I will be moving my shelves to better utilize the space now that we have been here two years I know how I want it, and my "Mom's superstore" has outgrown its side. I have two more shelving units to put together, a freezer to wash out, move it to its new location, and then empty the shelving units, move them into place and then fill up the shelving again. My goal of finishing this project will take me all day and I will not go to bed tomorrow until it is finished. I pray my back that I threw out back in June will not act up and my asthma settles down. I won't tell the doctor what I am up to, and Doc better not tell either. The moldy floor under the refrigerator cause me trouble already tonight. The floor has now been scrubbed and bleached. I am now on prednisone to avoid a trip to the emergency room when I ran for my inhaler. Mold is my biggest trigger with my asthma even worse than smoke. Yes, I know I shouldn't be doing this, but I have no choice!! Tomorrow it will be easier to breath, but I hope my back doesn't miss behave. Postscript: I worked until 5:30 am Tuesday and gave myself permission to post something. I will work until I finish, I still need 4 more white 5 shelf units but hope that I can find them at Kmart or Menards so I don't have to head to the Big City taking much of my day. Cheaper by the Dozen and Get One Free--Backpacks for Kids Cyber--Drive 157 pledged backpacks and counting. When you shop pick up a few extras and donate to a school supply drive or your local school to help children who will face school without your help. Join our Backpacks for Kids--Cyber Drive by picking up a backpack and fill it with supplies for a child without in your community. I like to price match in order to simplify shopping save time, gasoline. I have shopped Walmart just to get everything in one place by price matching the current ads. This week I can at Target!!!!! I had read that Target in some Minnesota Stores had begun price matching and this week it is in the Ad here in Wisconsin and in my Chicago papers. "Red Hot Savings: We'll match the price found in any competitors's printed ad* for an identical product." *Applies to curent, local print ads for in-store products. See Guest Services for Details. With all the back to school sales, I will be simplifying my shopping by Price Matching the School Supply Ads at Target for brand name products they carry. Every few cents helps us stretch the dollars helping kids. I have 5 more coupons and had stocked up last time there was a $2.50 coupon. With 18 months of worth of dishwasher detergent stocked up. I am offering a Giveaway for my 5--$2.50 coupons.. 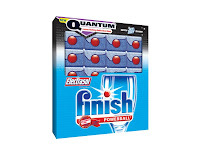 Giveaway: Center to WIN 5---$2.50 Finish, Electrasol Coupons. Leave a comment and I will draw the winner on Wednesday at Noon Central Time. Becca and I challenge other frugal bloggers to use Register Rewards to help a child head off to school with a NEW Backpack and with this deal why not make it 2 for the price of one. We have had used these backpacks for our Backpacks for Kids Program and they hold up well for the price. Today I just picked up 6. Target is launching back to school with huge savings. 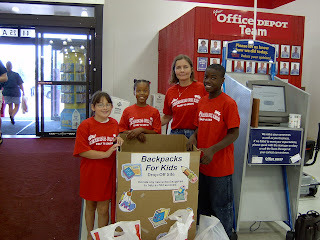 While you are there, pick up an extra BACKPACK for A child in need in your community. Join our Backpacks for Kids Cyber-Campaign to help 2000 children start school with the needed supplies. Click here to see how to help. If you are making one last run for Kmart Doubles. This deal is worth taking a few moments to print out before heading out. Kmart has it for $3.99 and with the $2.00 off coupon on Coupons.com doubled will make it FREE. 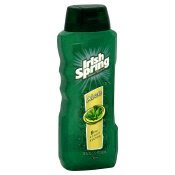 Use zip code 45435 and print out 2--coupons for $2.00 of Irish Spring Body Wash if you have a second computer you can print 2 more to take advantage of the 4 limit for FREE. While you are there, print 2 out the $1.00 Softsoap Liquid Handsoap coupons on the same page. (same zip code). These should be FREE or almost FREE. I have not priced checked it but will pick them up tomorrow on our last run to Kmart Doubles. The girls and I went to Kmart and we did 4 sets of deals. One set of Kimberly Clark products and 3 sets of Unilever. We spent our 4--$14.00 catalina shopping coupons along with 4 --$5/$20 Toy Coupons and bought 4 transactions of $20+ toys. We went over $20 on a couple of the toy transactions and with tax we spent under $10 for over $85 in toys plus tax with $76 savings. These were NEW for fall toys. 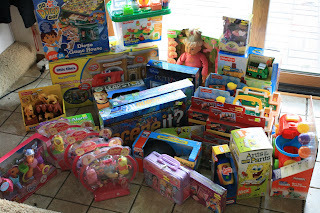 I had already cleaned up on the 50% off the clearance toys on Sunday and it is all picked over. The cashiers were impressed by my totals on the doubles and shocked by the savings on the toys deal :) It feels amazing to have the cashiers impressed!! 151 Backpacks to Date 1,849 to go. Goal: 2000 Backpacks filled with love and school supplies for children in need by you in your communities across the United States. Read Here about our Campaign. Help a child in need start school with a New Backpack by pledging to buy one filled with school supplies and drop it off at one of the many school supply campaigns in many communities across the country or at a local school. Principals and teachers will know how to find a child who needs a hand up for school. Commit to buying a Backpack by leaving a comment here or emailing me privately at Anny458@aol.com and check back for our Back to School Frugal Finds. 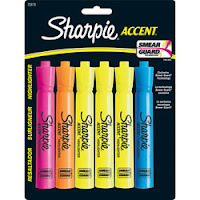 Staples has Posted their Ad beginning Sunday July 12 with an amazing $5.00 off $20.00 coupon. You may save more if you have the Bic internet printables from a week or so ago. Staples also has Backpacks on sale for 25% to 50% off this week. *Deals posted in bold are probably close to a lowest season price. I challenge fellow Frugal Bloggers to help Becca fill backpacks and join our Backpacks for Kids Cyber Campaign to Buy Backpacks for Children in Need across America. Over the next two months, I challenge other Bloggers to join the campaign to fill a backpack with needed school supplies and donate it to one of the many Back To School Drives in almost every community across the United States. Becca's Goal to inspire you to match the 5,000 Backpacks our family and Backpacks for Kids has given away in the past 7 years. 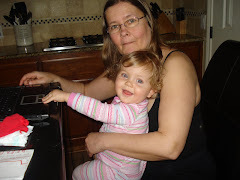 This mom burst her dream and told her that she needed to goal more manageable. So we compromised on 2000. Becca has worked year round for these years scouring and hunting for the the Best Deals for Backpacks and School Supplies. We are again working in our own county for Back to School through our County Services making sure every child who is referred has the supplies they need to attend school. Our Garage will be turned again into Back To School Central. 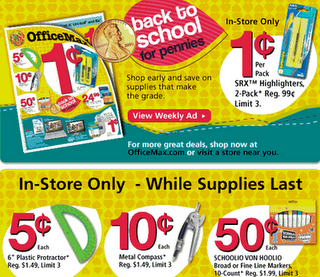 Becca and I will be scouring the Ads and will post the Best School Supplies bargains weekly on Sunday. With all of us using our bargain hunting skills we can save money for our families sending our kids back to school and together will help children in need by fulfilling the needs of the school supplies campaigns across America. Over the next couple of weeks we will be posting the deals, sharing our purchases and giving you a place to share your frugal back to school finds and most importantly give you ideas on how to get the backpacks to a child in need. I begin with my pledge of 150 Backpacks already purchased. 1,850 to Go. Can You Help? Add your pledge to Buy a backpack with supplies for a needy child and lets unite to reach a goal of 2000 backpacks to add to the 5000 Backpacks for Kids and our family has already raised in the last 7 years. Sign on to the campaign and pledge to buy a backpack and school supplies by leaving a comment on the blog. I will get a formal sign up on the blog and we will watch the multiplying backpacks begin. If anyone has read my story, Tiny Titan, they know that Back to School is one of my most favorite time of the year. Not because I am sending my kids back to school, because of a miracle so many years ago, that I get the gift of repaying backpacks that my kids had received when our family was in poverty from Becca's catastrophic illness and Jim losing his job to cover her million dollars in medical bills. Where my frugalness and bargain hunting skills are best served is through school supply shopping. I have taught my kids how to stretch small change and turn them into school supplies which over the past 7 years have served over 5000 children in the communities were we have lived. The miracles of the multiplying backpacks and schools supplies and who it would inspire. Over the next two months check back and find out the whole story and I will be posting Back to School Deals to save money with sending the kids back to school. I will be posting Weekly Back to School hints and deals. This year I would like other frugal bloggers to join the campaign to help needy children have NEW backpacks and school supplies in your own communities. As you are out shopping, pick up the Back to School Frugal Finds and find your own communities back to school drives and help children have a New Backpack and Supplies to Start School Ready to Learn. I just brought in my new August 2009 issue of Parents Magazine and discovered on page 87 a coupon good for Gymboree for 20% off your entire purchase. Coupon is good through 8-30-09. Right next to the Gymboree Coupon is a coupon for $1.50 off New Tide Stain Release good through 2/28/2010. Toysrus a 2 Day Movie Special for Friday 7/10 and Saturday 7/11 Only has a $5 off coupon good for any Disney movie priced $19.99 or more. 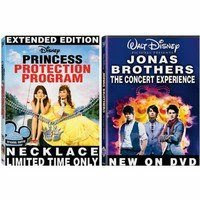 For the tween in your life.. get an even sweeter deal by using this $5.00 coupon along with the Toysrus coupon on the New Release Jonas Brothers--Concert Experience DVD. Free Sample Of New Nature Made TripleFlex Liquid Softgels. Free Sample Of Viva Paper Towel. Free Sample Of NIVEA Touch of Sparkle Body Wash.
Free Sample Of Sun Crystals. Free Home-Made Simple Coupon Book--Contains $30 worth of coupons and Free Cascade Cpn. Free Sample of Lipton Tea--Just call 1-888-435-3639, enter your birthdate, and say your name and address to get a FREE box. With Kmart Doubling I stocked up on Kimberly Clark and Unilever products and got several $14 off your next shopping order Catalina coupons. Even without having double coupons, with all the high value Huggies coupons for $3.00 off you can still get the $14 shopping catalina. I used two on the take 50% off the clearance price toys, but did not think to try using one of the $5/$20 off toy coupons. 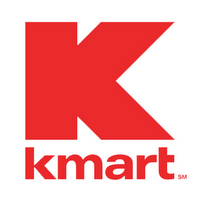 Two Kmart coupons do not work with each other. We can only use the $14 Catalina or the $5/$50 not both. Last night I received another $14 Catalina and was buying a regular price toy using another $5/$20. Just for giggles I told the cashier I should try and see if it worked. It did. A $20 regular price toy for $1. The reason it worked I believe is that the $5/$20 is a manufacturers coupon not a Kmart coupon and so I could use it with the $14 shopping order coupon. Print $3 Pullups here *use more than one computer or ask Grandma to print some, Also the $3 Pure and Naturals work. or for those who have doubles you can use $1.50 coupons and will save even more doubling $2 coupons. 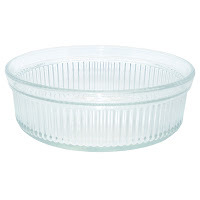 *Use the $14.00 off Shopping order catalina from buying Kimberly Clark and Unilever Products. *Make sure the coupons are presented in that order for the deal to work. 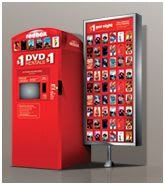 Today only you can get a free DVD rental at your local Redbox. 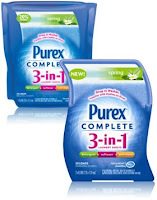 With knowing that Kmart has been doubling I ordered 10 coupons for Purex Completes. ($1.00/10) Becca and I each picked up 4 at Kmart yesterday for $1.99 each after doubling our $2.00 coupons. I will use my last two coupons later this week if there is any left. I have been using it for the last two weeks and it seems to get the clothes clean and it works in the dryer prevent wrinkling. I reuse the dryer sheet with the next load for added softening. Regular Size loads because we have a water softener I only need to use 1/2 sheet--- 400 loads of laundry. I do 2 loads a day average for the four of us gives me 200 days of laundry. We scored!! We headed to Kmart to pick up our 10 coupons and take advantage of stocking up on Kimberly Clark Products and pick up our $14.00 Shopping order Catalina coupons. I budget $100 a month to take advantage of doubles coupon for household items. (We still have $47 in the budget after Becca and My spending the $50 to get the 2--$14 catalinas for buying Kimberly Clark Products...we stocked up on Cottonelle, Goodnights, Purex and Cereal). The rest of my trips this week will be under $5 each. We walked in surprised to find an extra 50% off clearance toys. Combining it with my $5/$20 Kmart Toys coupons and the $5/$50 we did our Birthday Shopping, Christmas Shopping along with picking up the Double Deals. guns as I write. ($2.50 each). This picture does not include everything, our games and toys are already put away, along with gifts I don't want certain people to see for Christmas and Birthday Gifts. and even better... my Gluten-free Chex are on sale 4/$6.00 less 2--$1.00 coupons for a Total of $2.00 for four boxes or $.50 each. Becca, Doc and I each ran through with 4 and scored 12 boxes of Gluten-free Cereal for $6.00 after coupons. Get a free movie rental at Redbox locations from 7/5 through 7/7, when you use the code 7HE79B at checkout. To use the code you will need to visit your local Redbox location, select “Rent with Promo Code,” enter code, select movie and continue to check out. This code expires on 7/7 at midnight CST.